Find Director of Landscape Architect Director Jobs? Landscape Architect Director Jobs are responsible for full leadership of the landscape function within a particular studio. The role sits within the practices’ senior management team and plays a key part in the strategic planning of the organisation. With an abundance of experience as a Chartered Landscape Architect, the role balances creativity and technical knowledge with commercial awareness and the ability to motivate and inspire those around them. 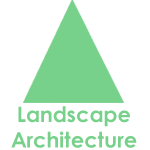 Vewi all Landscape Architect Director Jobs in London below. We regularly use these connections to help experienced landscape professionals secure executive roles at some of London’s most well-known architectural firms and design consultancies. Our job board below displays our up-to-date list of Director of Landscape Architecture roles in London. As strategic leader of Landscape Architecture, the role is responsible for overseeing and directing all aspects of landscape works and projects including securing new business, monitoring financial year plans and budgets, fee tendering, risk assessment, managing multidisciplinary teams and reporting to the Board. As a client facing role, the ability to manage multiple projects simultaneously while maintaining first-class people and business management skills is essential. You will regularly be reporting ideas and concepts to executive personnel, so the ability to present complex ideas at board level is crucial. You will be required to manage the financial aspects of projects, and will need to demonstrate the ability to deliver a high quality service and product that meets clients’ needs and expectations. How much does Landscape Architect Director Jobs get paid in the UK? Salaries for Associate Landscape Architects range from £45,000 to more than £65,000 per year, as indicated by our Salary Guide. Designed to help ensure candidates are getting the right wage, the guide provides a handy overview of the average salaries for professionals working across the architectural spectrum in the UK.